Controlling population is considered to be one of the major challenges in every country. While different countries have adopted various measures to curb population growth, India continues to struggle in developing population control strategies. Even in the midst of urbanisation, industrialisation and economic development, India continues to witness huge population growth. According to the United Nations 2016 data, the current population of India stands at 1.3 billion and the country has the fastest growing population after China. 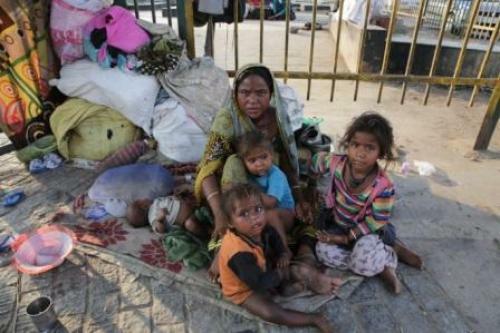 As statistics indicate, the increasing rate of India’s population is quite alarming and requires immediate action. Research suggests that the birth rate is higher among low-income families as they believe that if they produce more children, there will be more earning members. Scholars have for quite some time identified the family to be the central unit for achieving population control goals. In fact, India was the first country to adopt family planning as one of its socio-economic development policies in 1952. Post independence, in the first to third Five Year Plans (1951-1966) various methods such as condoms, jellies and foam tablets were advocated for birth control. Additionally, service clinics were set up in rural areas to educate people about family planning. Advertisements and the media were used to spread awareness and the necessity of using contraceptives for the overall wellbeing of the family. It was only in the fourth Five Year Plan (1969-1974) that the target was set and a birth rate reduction from 39 per cent to 25 per cent per 1,000 people within the next decade was proposed. To meet this target, sterilisation clinics were set up and incentives as well as compensations were offered to undergo sterilisation. Since then sterilisation as a method has been a target-oriented programme and the practice of forceful sterilisation has often been reported in the media. In fact, it is important to note that among all population-control measures, sterilisation camps have been most enforced by the Government of India. One cannot deny that such camps have been the reason for a large number of deaths in the country. Reports highlight that from 2009-2012, over 700 women died because of failed sterilisation procedures (United Nations, 2013; Population Foundation of India, 2014). Though public health experts, demographers and women groups have criticised the functioning of sterilisation camps on several instances, they continue to exist. Even though concerns of “quality of care” provided in these camps have been questioned by several studies, no particular action has been taken against the doctors and staff involved in sterilisation. Thirteen women lost their lives at a sterilisation camp in Chhattisgarh in 2014 and strict action was expected from the Centre. However, it was only on September 16 this year that the Supreme Court ordered the state government to shut down all sterilisation camps in three years. With this order it is important to understand what alternate approaches can be used to curb population. Various scholars have said even though sterilisation is the most accepted form of population control measure, it is also one of the major causes of increased mortality rates among women in India. In this context it is important to reflect on population control policies being followed by other highly populated countries. Since population control is a concern for many countries, it is important to understand the different policies adopted by nations experiencing high population growth. In the United States of America, the Title X Family Program was launched in 1970 to provide contraceptive services, supplies and information regarding birth control. In particular, families in the low-income group were given priority under this. In 2014, the programme successfully prevented two million unintended pregnancies. Similarly, Indonesia follows the Banjar system, which involves the community to spread awareness on birth control measures. Village family planning groups are created by the government to mould fertility behaviour among people. The country has also involved religious leaders to cater to its Muslim population. The Banjar programme has seen a major shift in the attitude of religious leaders, who have actively supported it. Bangladesh has achieved the lowest total fertility rate in South Asia through family welfare assistants. Under this, volunteers pay door-to-door visits and advise mothers about the use of contraceptives and provide free ones after every two weeks. If we look at the different policies used by other countries, it can be suggested that through trained health workers and by involving religious leaders, the use of various contraception measures can be made popular. In India, women are paying a high price in terms of their health due to sterilisation. In this context, it is important to identify alternate approaches that can be used to curb population growth. Drawing from examples set by other countries, one can say that use of condoms and intrauterine devices can be used to maintain a balance between usage of contraception methods by men and women. By training members of the village community, the government can also create village self-help groups. These groups can educate villagers on available birth control measures. In particular, men in rural areas should be motivated and urged to use contraception to reduce the burden on women. In cities, areas should be identified with low-income families and trained health workers should be sent to spread awareness on other contraception methods. The main goal of population control programmes should be that both men and women should make informed choices. With the Supreme Court’s order to shut down all sterilisation camps and urge for a national health policy, it is important for the Indian government to revaluate population control goals.